I never knew how many different variations of cornbread were out there, let alone that there are two camps of cornbread fans - Southern and Northern. That would explain why sometimes when I've had cornbread it's tasted different that what I grew up with. Growing up I've typically been exposed to more of a Northern Style cornbread - more cake-like and a bit sweet. 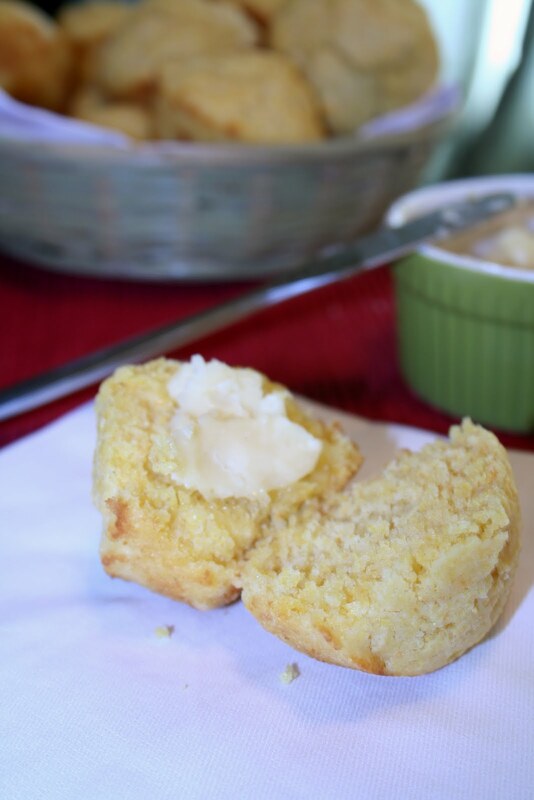 A Southern-Style cornbread seems to be more dense and definitely not sweet, also typically cooked in a well seasoned cast iron skillet with bacon drippings or other lard. Wanting cornbread I decided to go on a massive hunt for a recipe that seemed like the "baby bear" of cornbread recipes. Not to dry, not to sweet - I wanted something just right! For some reason I never think to look on the King Arthur Flour website for recipes, but when a link directed me to it's store I nearly smacked myself in the head saying, "duh, of course they may have a great recipe!" Well, that they did! Even in the description it says "this cornbread is a rare compromise between Southern and Northern cornbreads; it's 'just right', as regards the amount of sugar." I couldn't agree more - this recipe was a real winner. I didn't make any adjustments to the original recipe, however I do love the idea of a well seasoned cast iron skillet giving my cornbread a crispy edge so maybe next time when I'm cooking for more than two people I'll increase the recipe and cook in my skillet - for a more authentic feel! Preheat oven to 375 F. Lightly grease a 9-inch square or round pan or cast iron skillet, or 12 muffin cups. In a medium bowl, whisk together the flour, cornmeal, sugar, baking powder, baking soda and salt. In another bowl whisk together the milk, melted butter and egg. Pour the wet ingredients into the dry ingredients, stirring quickly and gently until just combined. Spread the batter into the prepared pan, or scoop into the muffin tin. Bake for 17-25 minutes (depending on pan), until the edges just begin to pull away from the pan and a cake tester or toothpick inserted in the center comes out clean. Remove from the oven and cool on a rack for 5 minutes before cutting; serve warm. Thanks for sharing! My husband loves cornbread, and I still haven't found the perfect recipe yet...I cannot wait to try this one! My husband could eat cornbread every day for the rest of his life and never grow bored of it. Thus far I have been unable to find the best recipe, I will have to give this one a go. 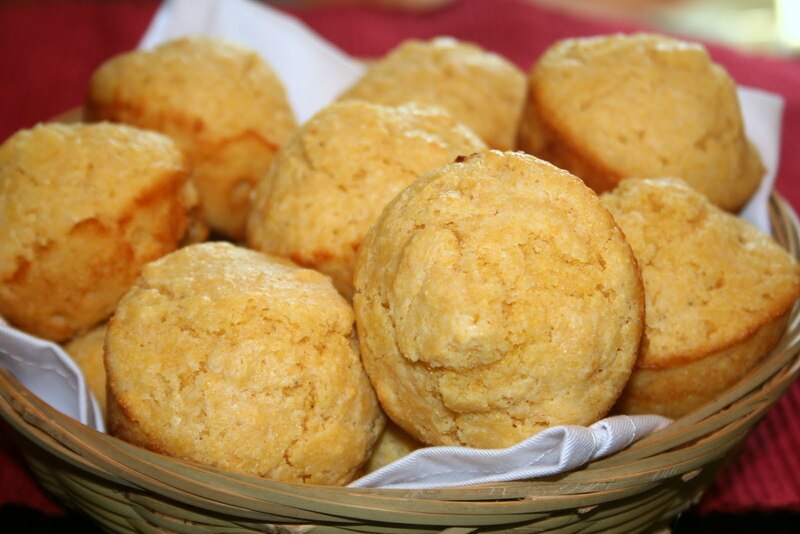 we love cornbread. I grew up on Southern style but I don't mind a change every once and a while. I'll try it next time. As a southern girl with a northern husband this is a must try for me! Thanks for sharing.